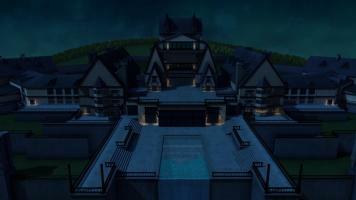 A master thief named The Key (JB Blanc) has just stolen the most valuable piece of code-breaking software in the world. When Harvey Dent captures him and sends him to Blackgate, Batman gets himself arrested and sent to prison to recover the dangerous software. 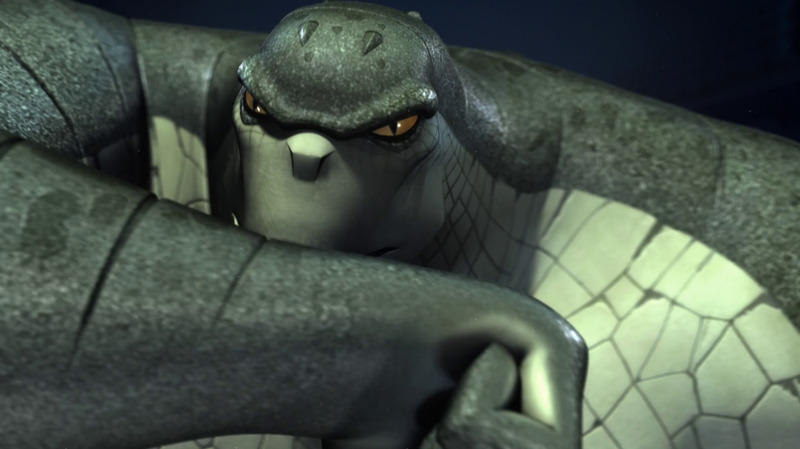 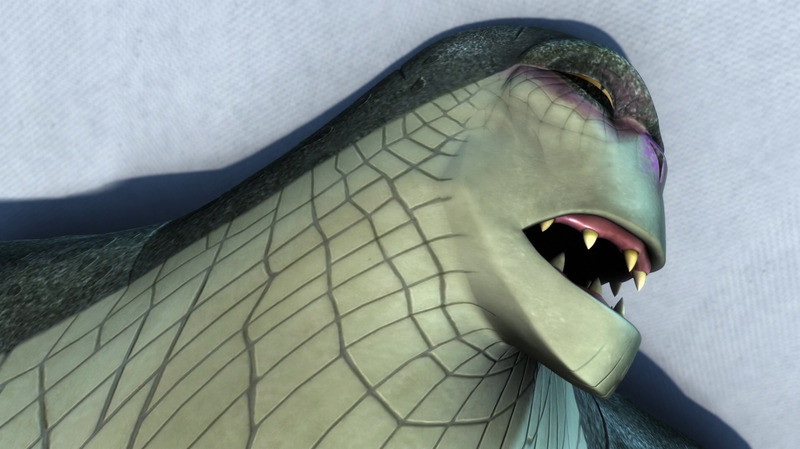 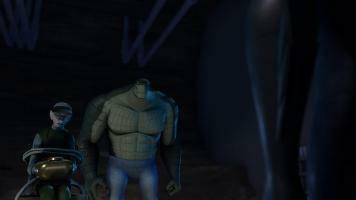 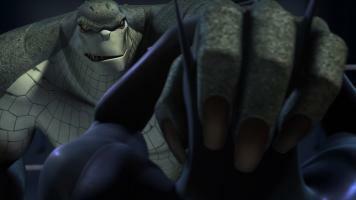 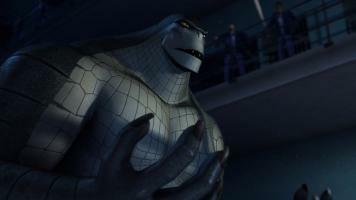 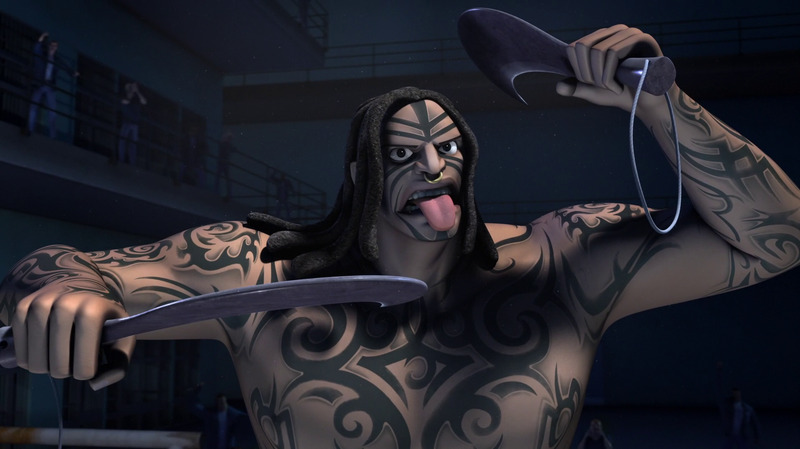 U nfortunately, however, The Key gets taken by another inmate: Killer Croc (Wade Williams). 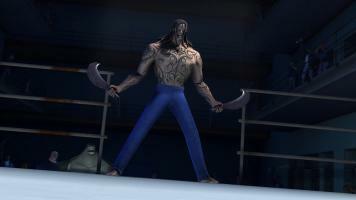 Batman must now not only find The Key an d escape from Blackgate, but also must fight his way through Croc and all his thugs. Pushing him farther toward his dark side, he b egins to lose what's left of his Bruce Wayne personality. 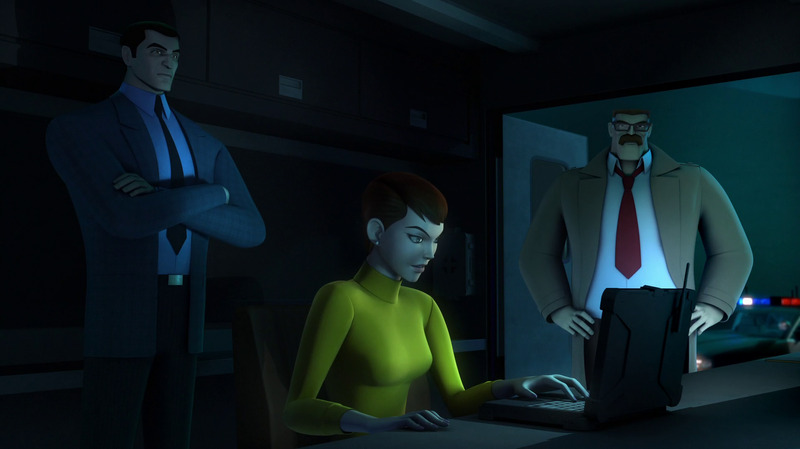 With the help of Barbara Gordon (aka Oracle), Katana must rescue Batman before he crosses a line. 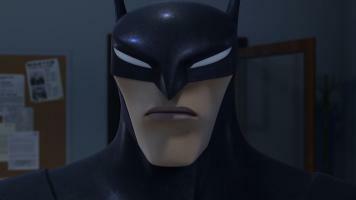 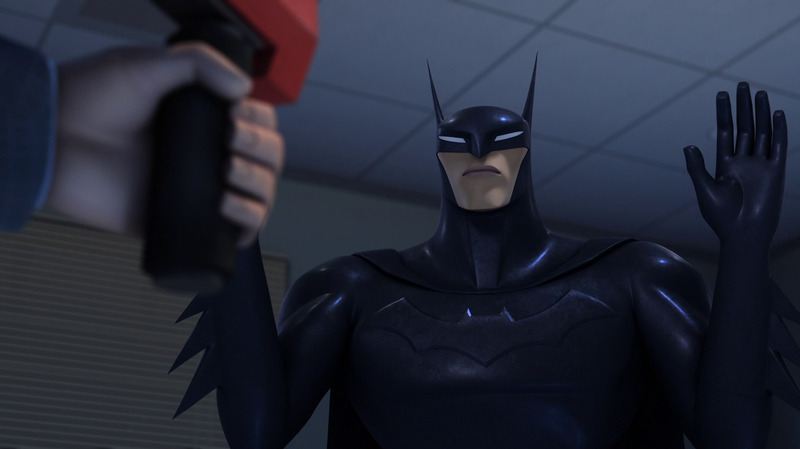 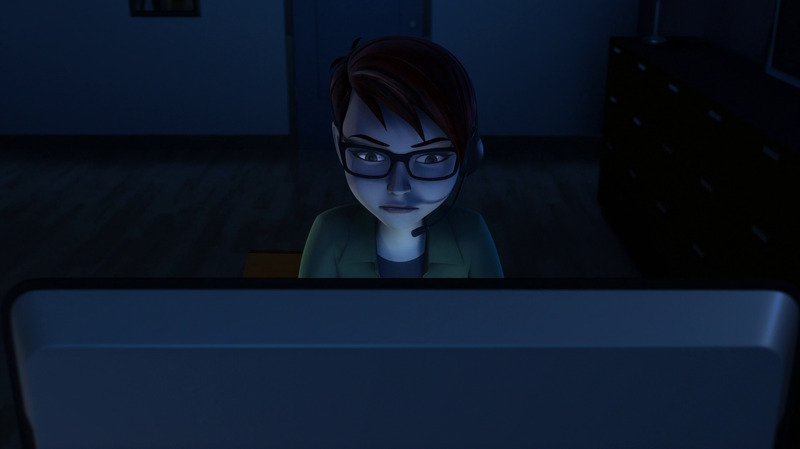 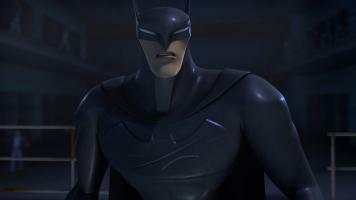 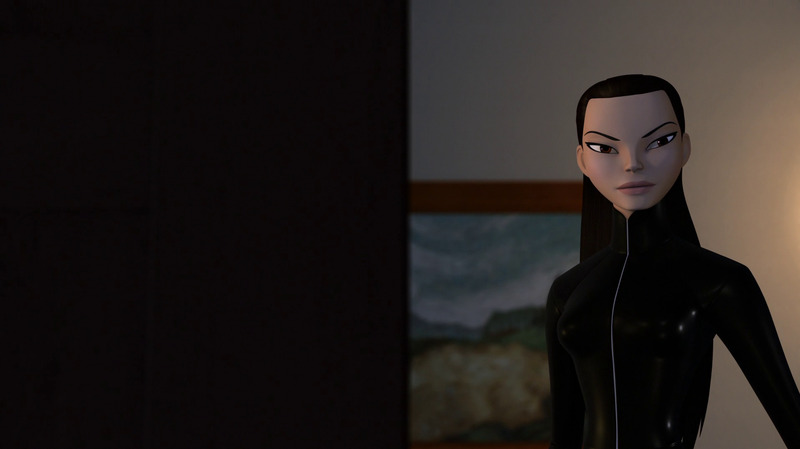 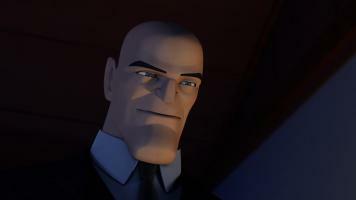 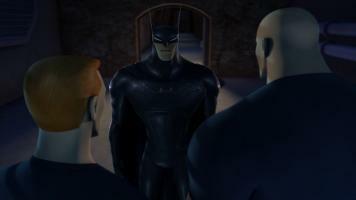 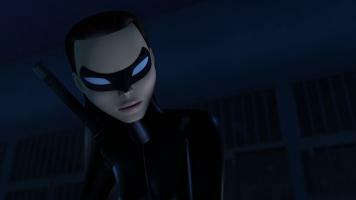 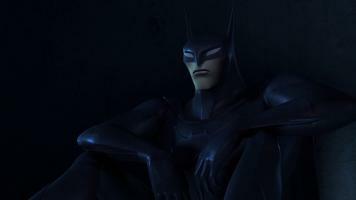 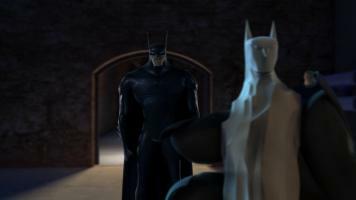 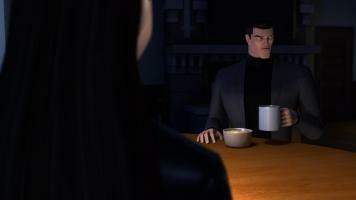 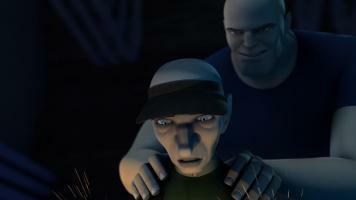 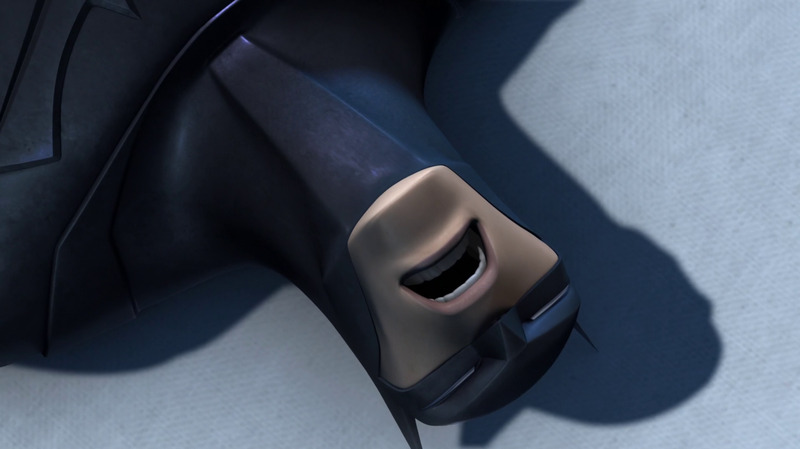 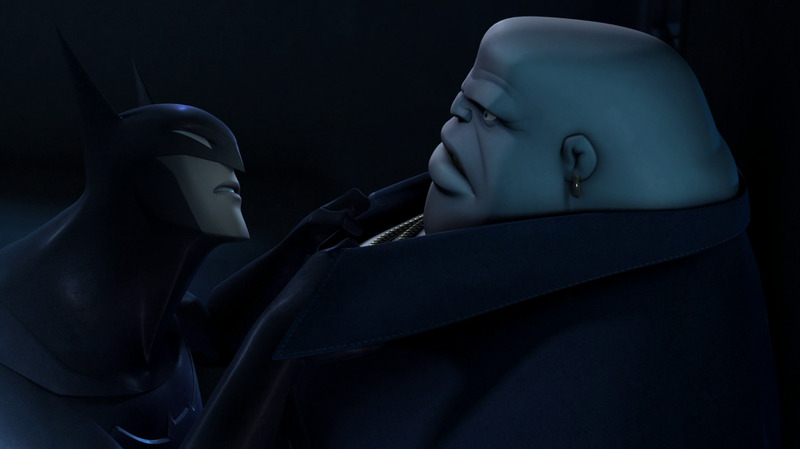 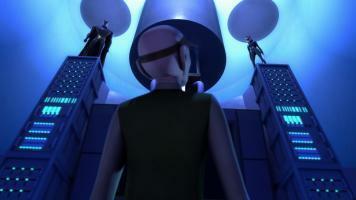 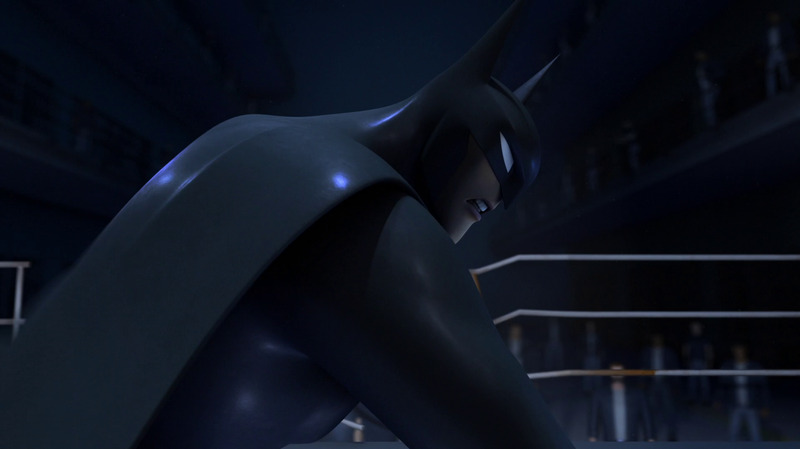 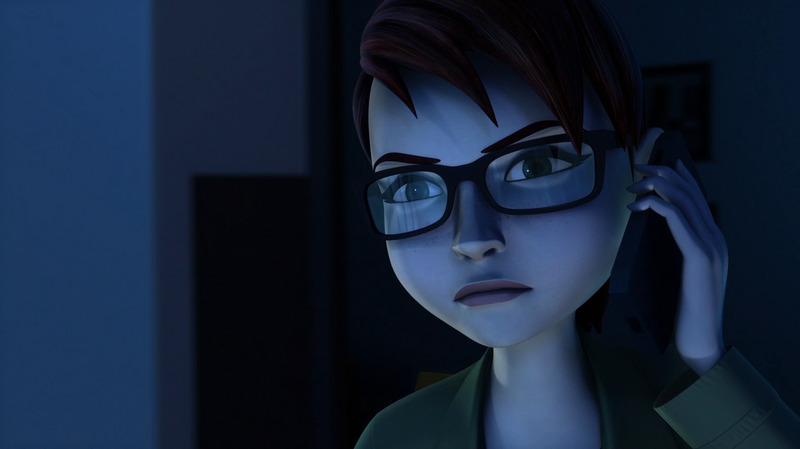 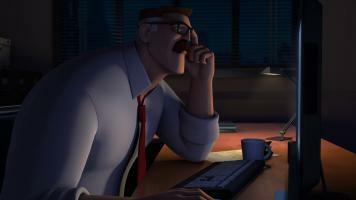 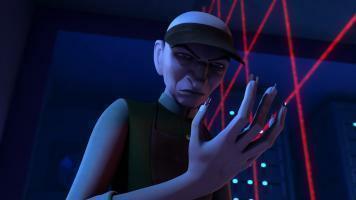 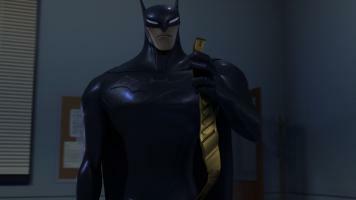 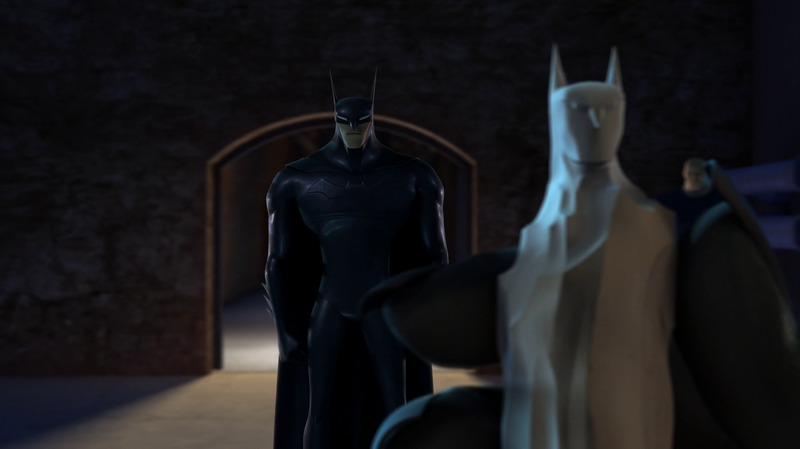 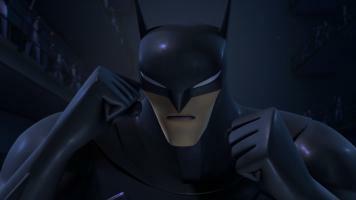 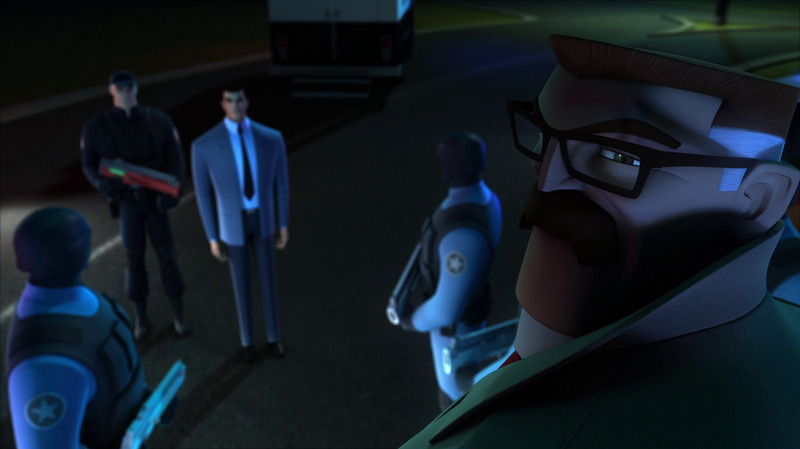 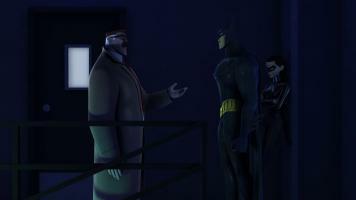 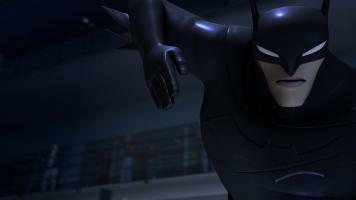 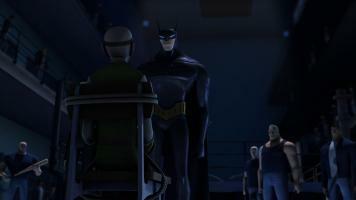 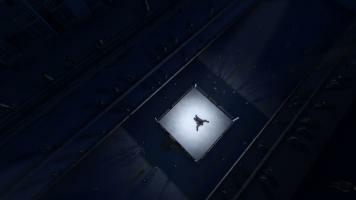 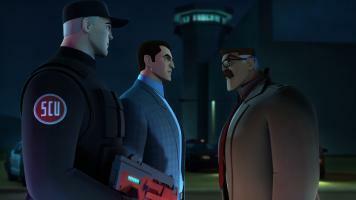 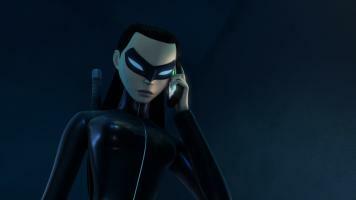 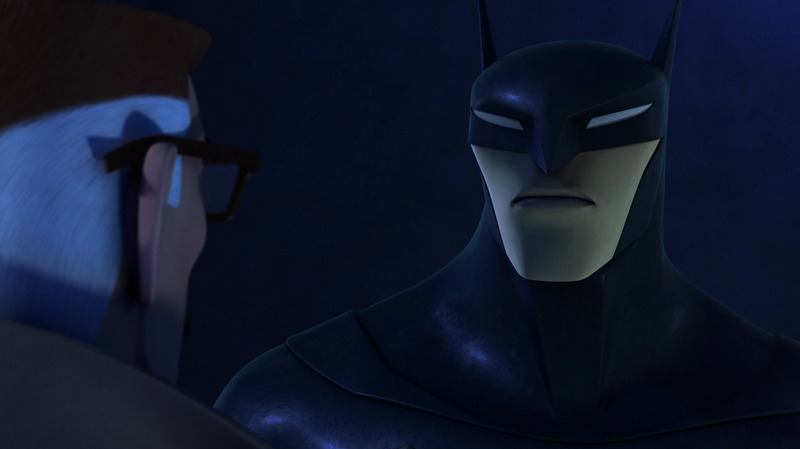 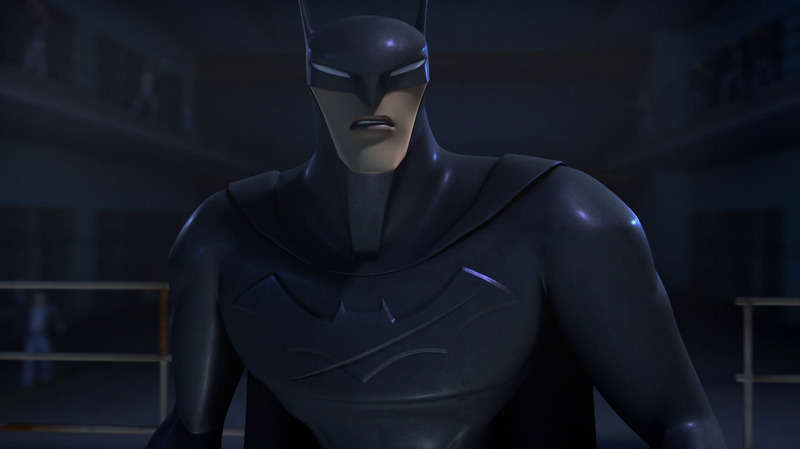 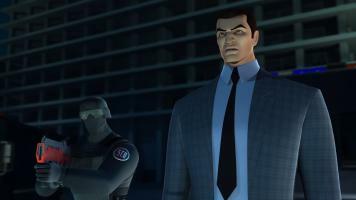 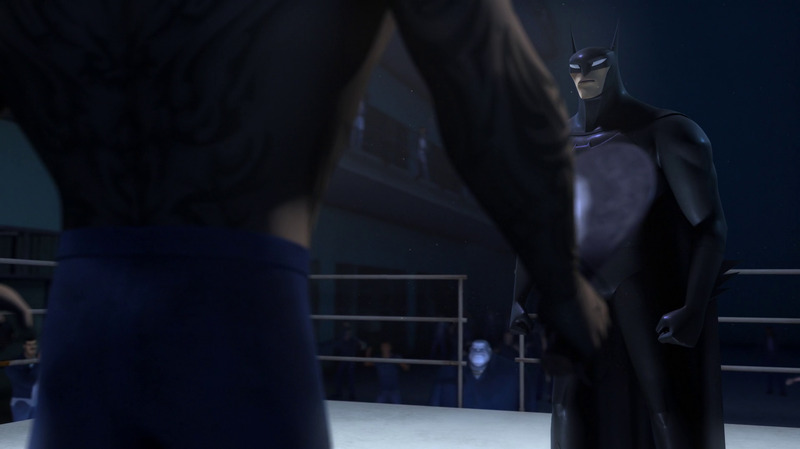 Another enjoyable and thrilling episode of Beware the Batman! I wasn't expecting the Key to show up, which reminded me of some speculation before the series tarted of Cypher's redesign actually being him, but overall I'm kind of indifferent to him. His hands being able to unlock anything was neat, but I think his design left a lot to be desired. 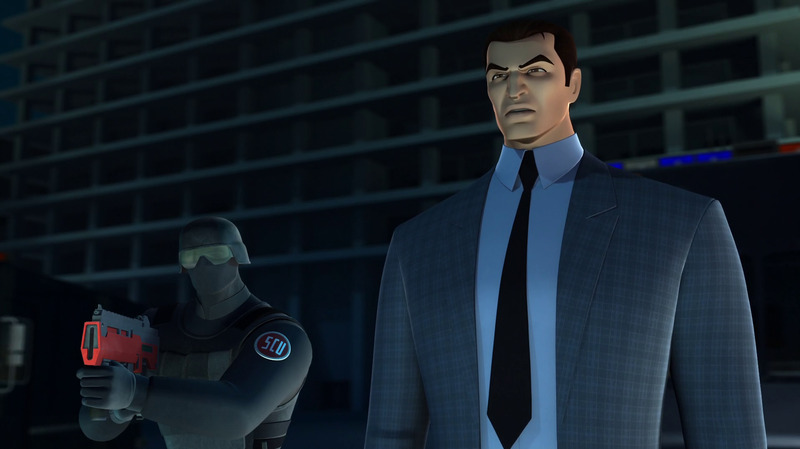 I would've preferred a more traditional Supverillain outfit and look than just a lanky guy in casual clothes. 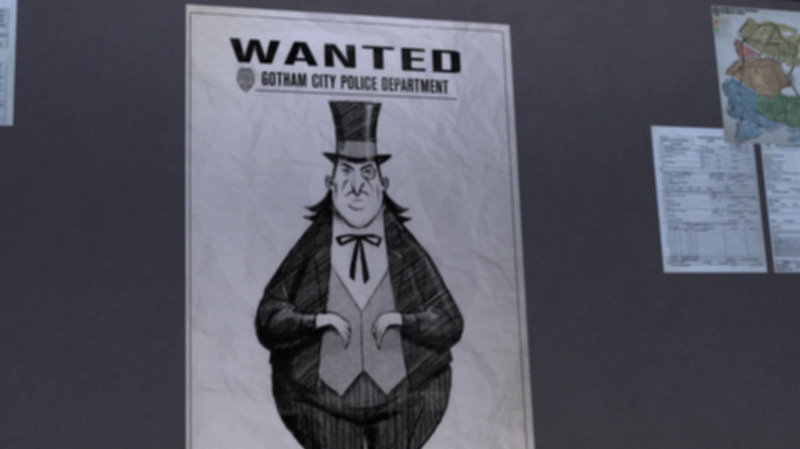 Moving on, I admit I laughed at the Penguin line, but it doesn't show well on Dent that he's actually confused about whether Penguin's a guy who looks like a penguin or an actual penguin. 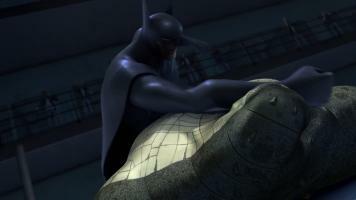 But Penguin's cameo was definitely pretty cool. I wonder if he's started taking over any of Whale's criminal territories now that he's locked up and is Gotham's newest crime boss? 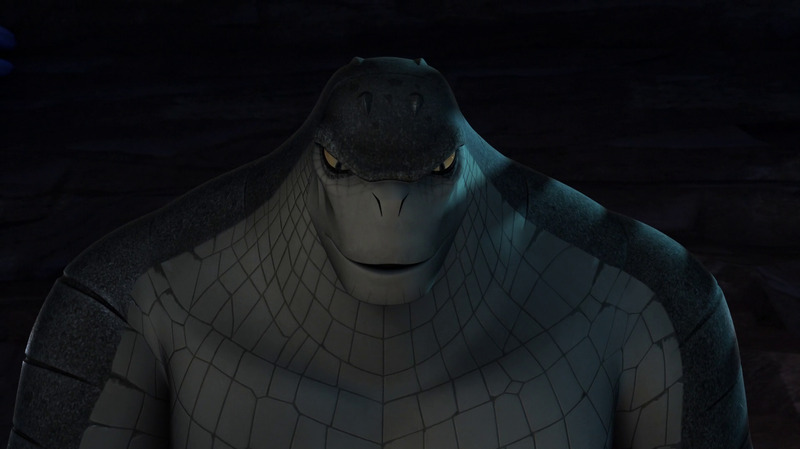 It would be really cool to see him in the flesh on the show. Speaking of surprising appearances by a well-know member of Batman's Rogues Gallery, Killer Croc was an awesome surprise. 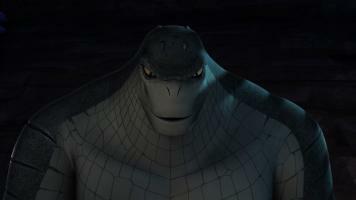 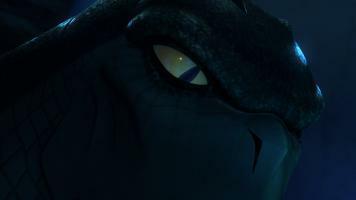 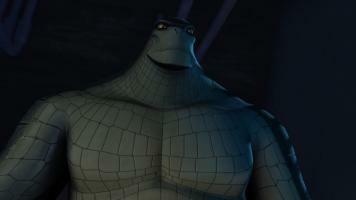 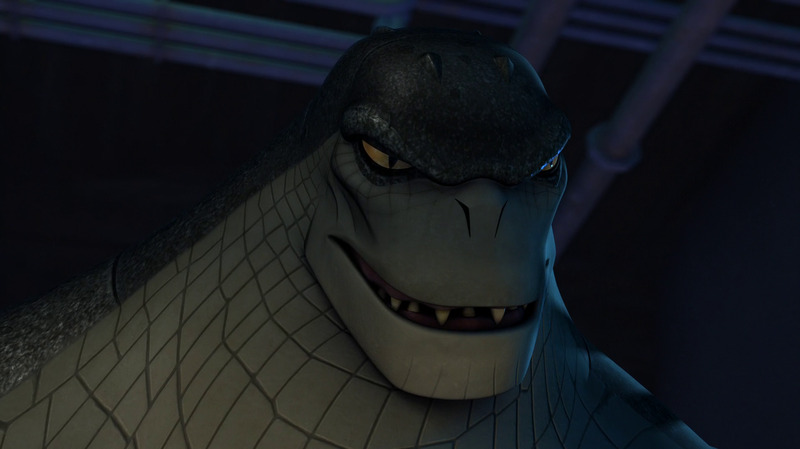 His design was great, and Wade William's gave a good performance as Croc, who coupled with a Cajun accent could be intimidating and serene when the situation called for it. 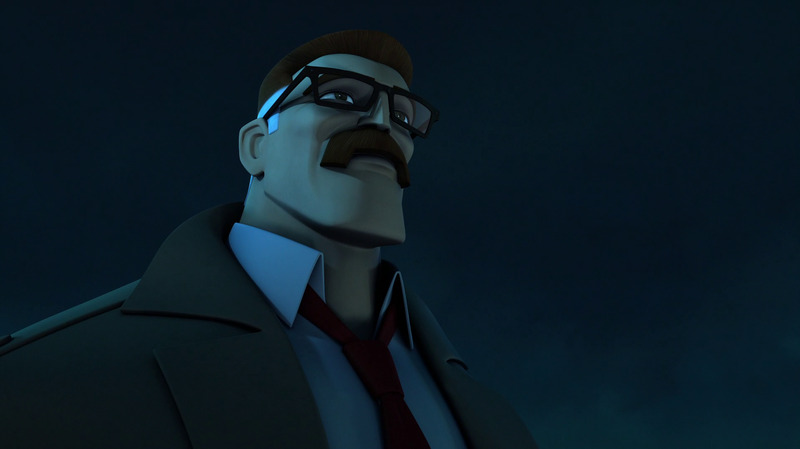 I thought he was definitely an effective antagonist, and now that he's back in his home element, I'm looking forward to his eventual return. 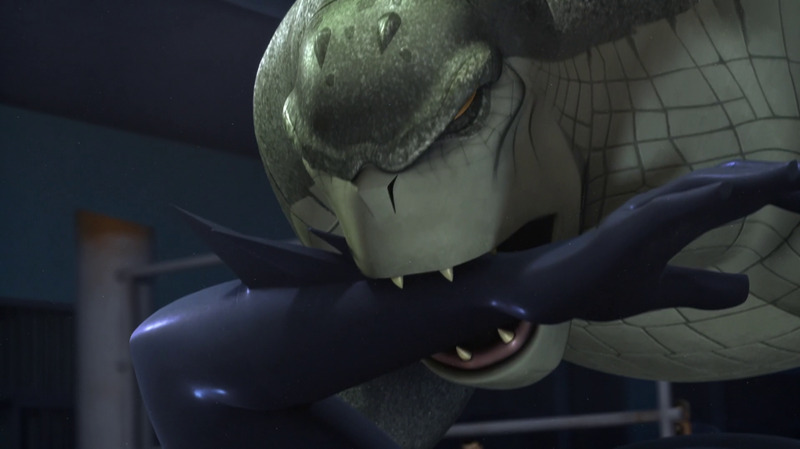 But ... another episode with Whale? 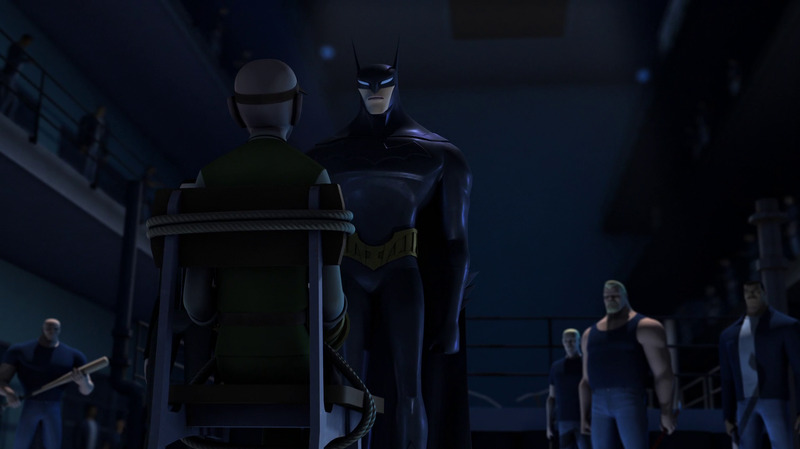 Seems like a bit much, but I guess he served his purpose of cluing Batman in on Croc being at the top in the hierarchy of Blackgate, and joining with the audience in seeing just how extreme Batman's become. Though wait... did they actually give him a prison uniform? 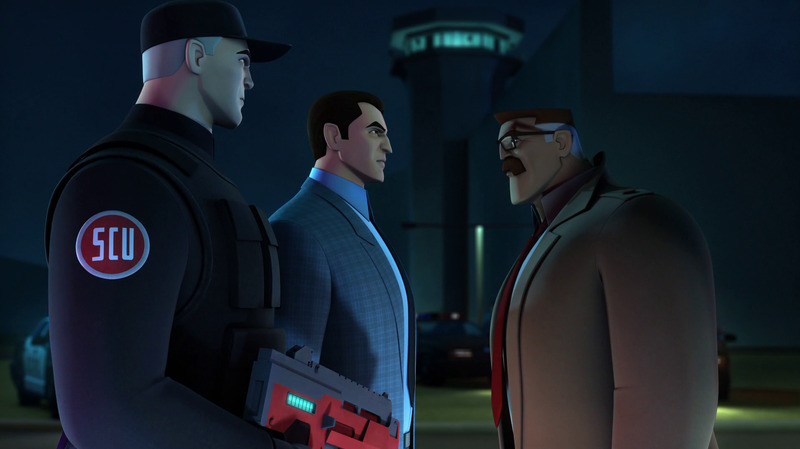 Didn't his last appearance in Blackgate have him wearing his normal outfit? 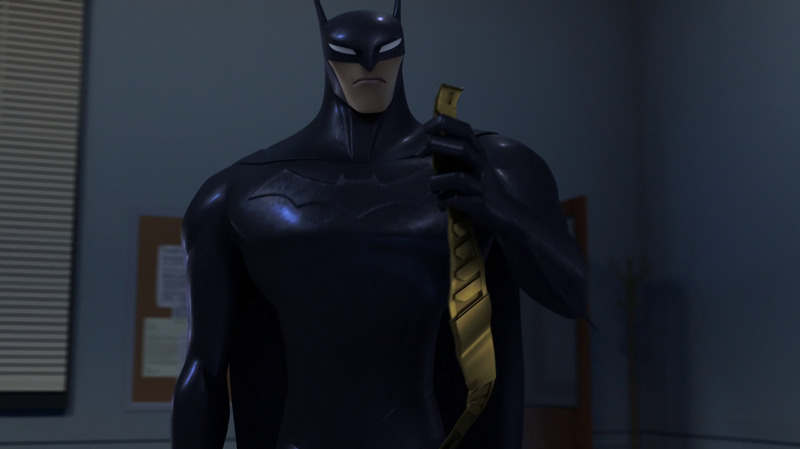 Speaking of clothes and such - Holy crud, Batman out of costume! 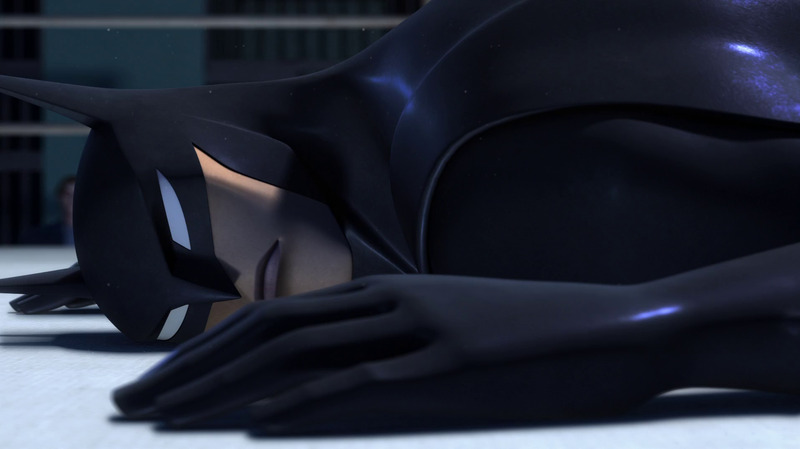 I guess he only takes off the suit for eating and sleeping, if he even actually sleeps anymore, though I guess it would've been funny to see him eating with Tatsu at the dinner table still in the Batsuit. When I read the episode summary, I was hoping we would get to see Matches Malone but I guess having Batman just turn himself in worked well enough. 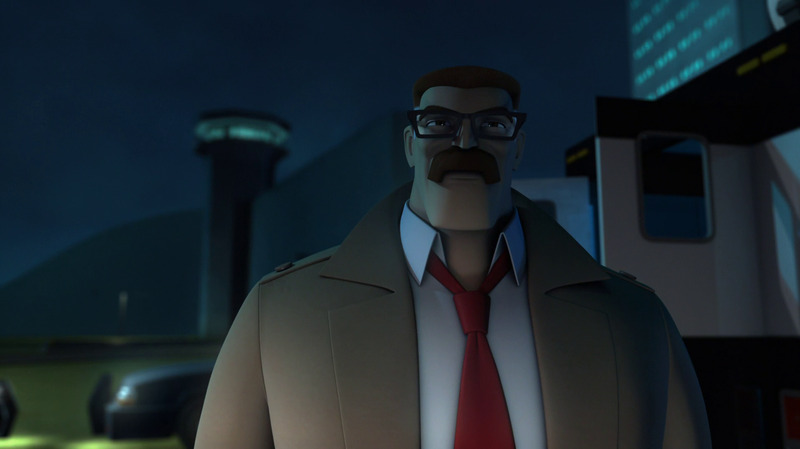 Though I wonder if he might have found a way to sneak in his belt if he had dressed up as Malone? 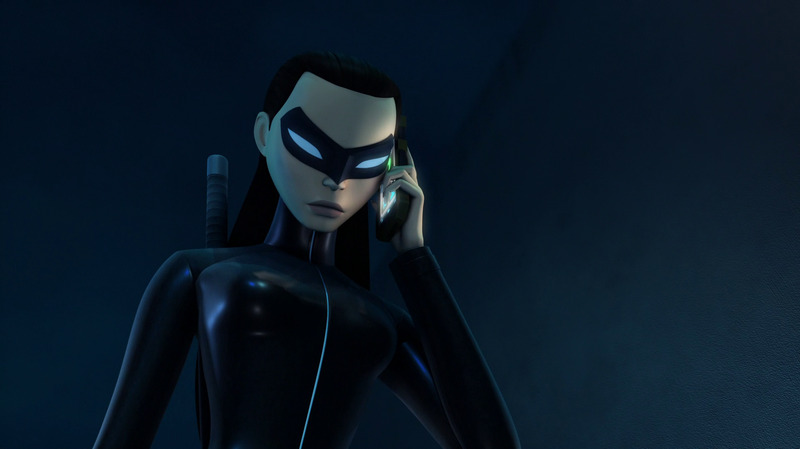 As for Katana, it was nice to see her using Barbara as support, and definitely in the vein of Oracle, it seemed kinda out of the blue for me. 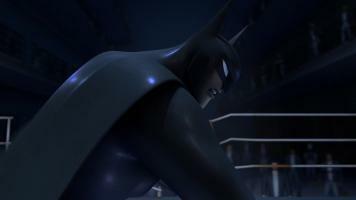 Like Batman and Katana, or just Tatsu, have been having this correspondence with Barbara and she's been active in supporting them in the time skip but it was just glossed over. 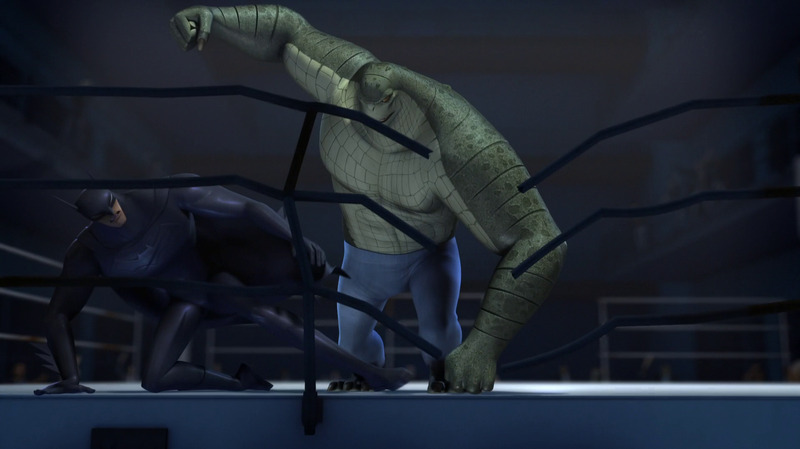 I feel like this is something that should've been addressed in "Nexus" so it wouldn't seem so jarring, but that's just me. 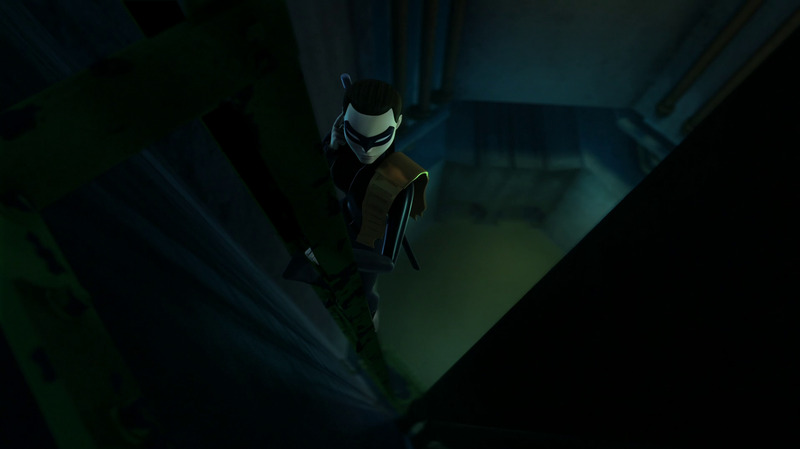 Katana's also showing she's learned Batman's signature move, using his utility belt to great effect, and stopping him from going to far were pretty nice scenes. 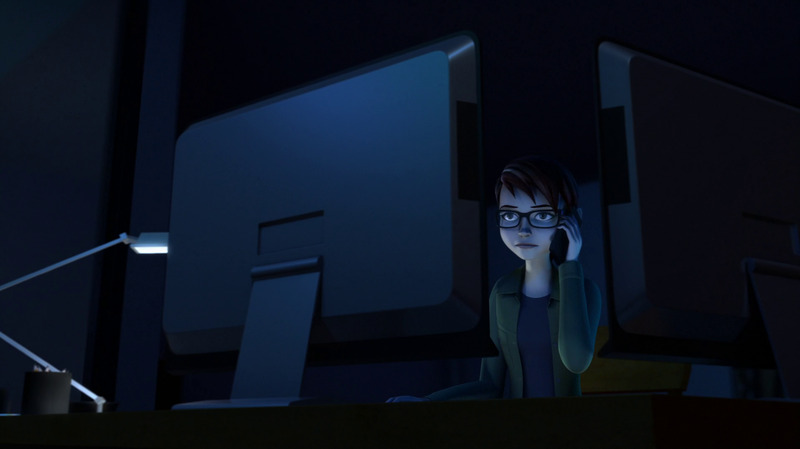 I wonder if she's now going to request one for herself, though I feel like that would make her more Robin like. 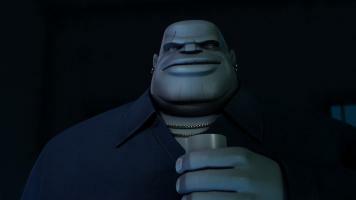 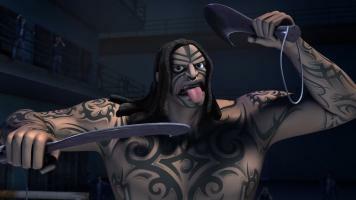 I was really surrpised to see the show use another really obscure villain - Matatoa! 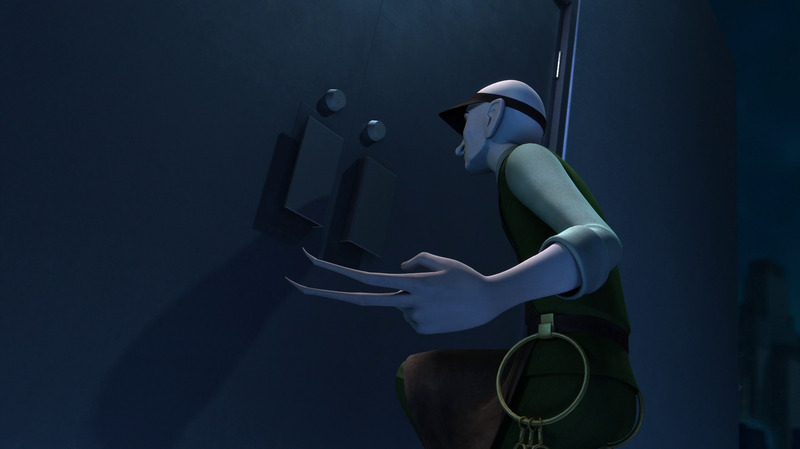 I wasn't sure if he was another bad guy or just a more kid-friendly version of Zsasz that the Beware staff created at first . Still, cool that they used him and he had a nice action sequence with Batman. Though I'd say it paled in comparison to Batman vs. Killer Croc, which was very exciting and quite brutal. 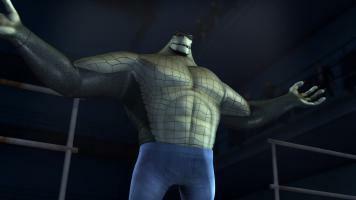 I'm surprised Batman was able to win without his belt, but it seemed like he used Croc's skin to his advantage to win the fight. I guess Croc's skin is either extremely sensitive or easy to irritate, which is how Batman managed to weaken him? 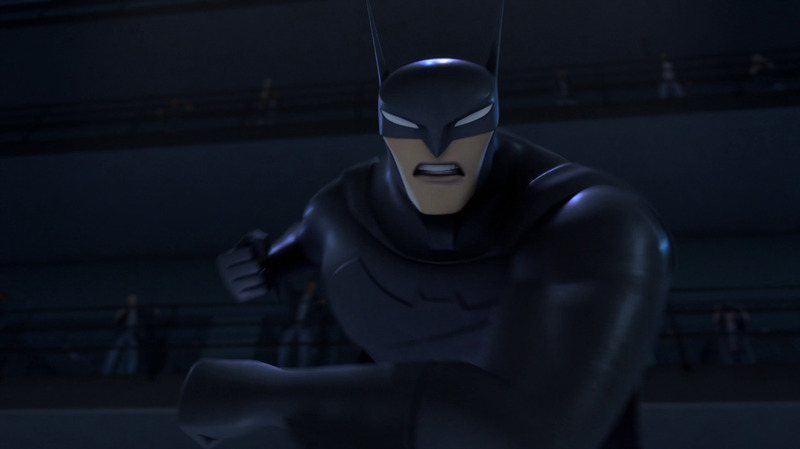 But man, that flurry of punches at the end... Batman seemed a little on edge and detached in this episode, but I never thought he'd go so far. 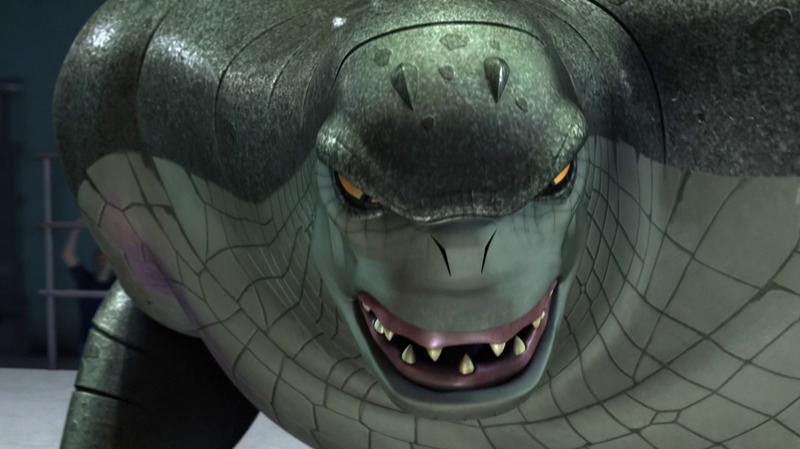 He'd already knocked out Croc, but it definitely didn't look like he'd stop until it was too late, if it wasn't for Katana's interference. 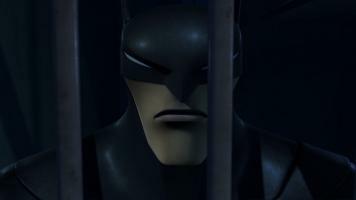 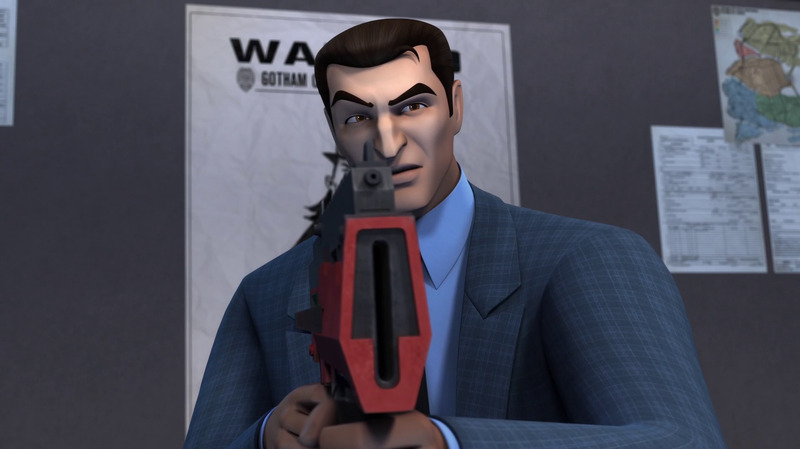 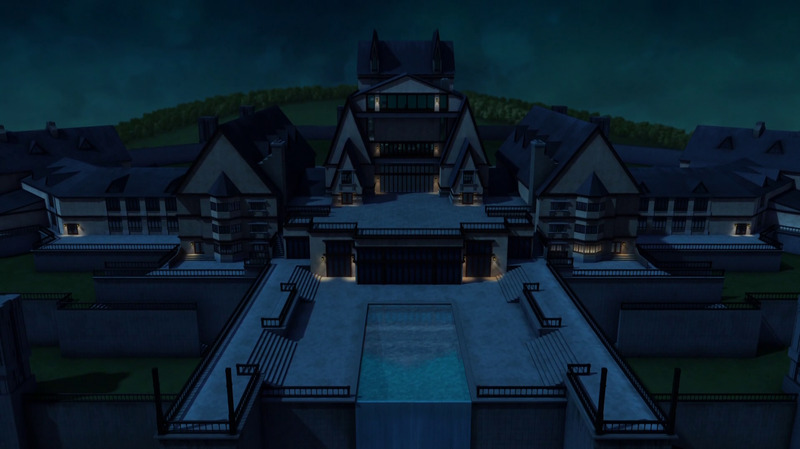 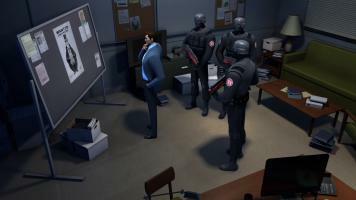 I guess now criminals have even more reason to beware the Batman. 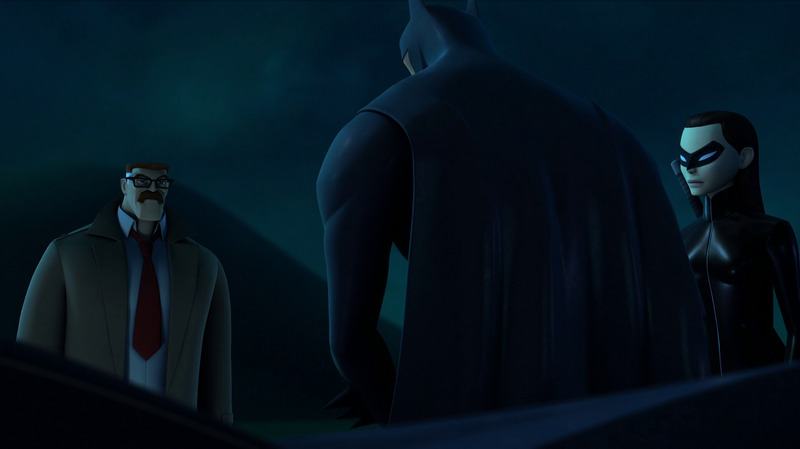 It's great to have Alfred back, and that scene at the end was qite heartwarming, and hopefully he can help bring Bruce back into the light a bit more and bring out his more human side again. 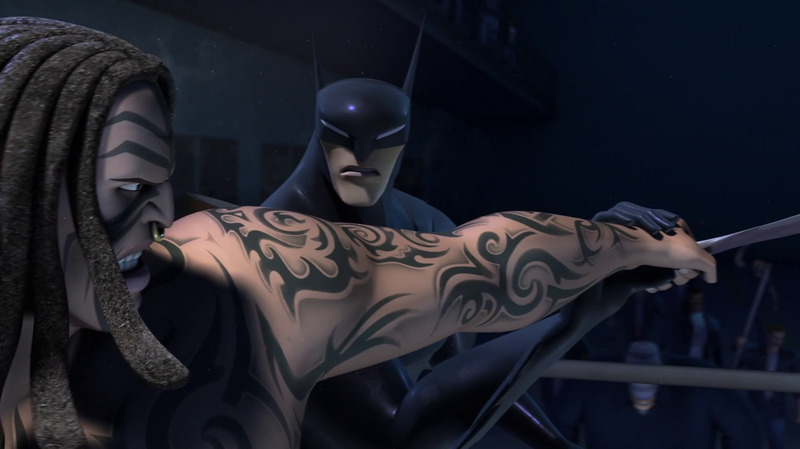 Though considering how long it's been going on and how far Bruce has fallen into the Batman persona, I doubt it's going to happen overnight. 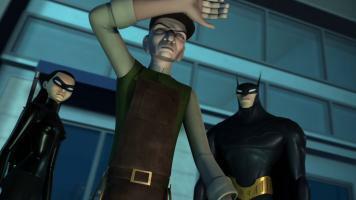 I wonder if we'll get any insight into what Alfred's been up to since he's been gone? 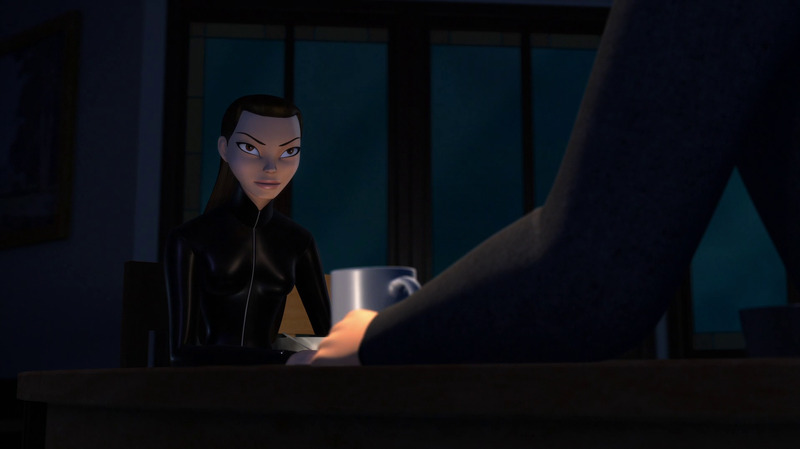 Beware The Batman and related characters and indicia are property of DC Comics and WB, 2001 - 2015. The World's Finest and everything relating to this site - copyright, 1998 - 2015.